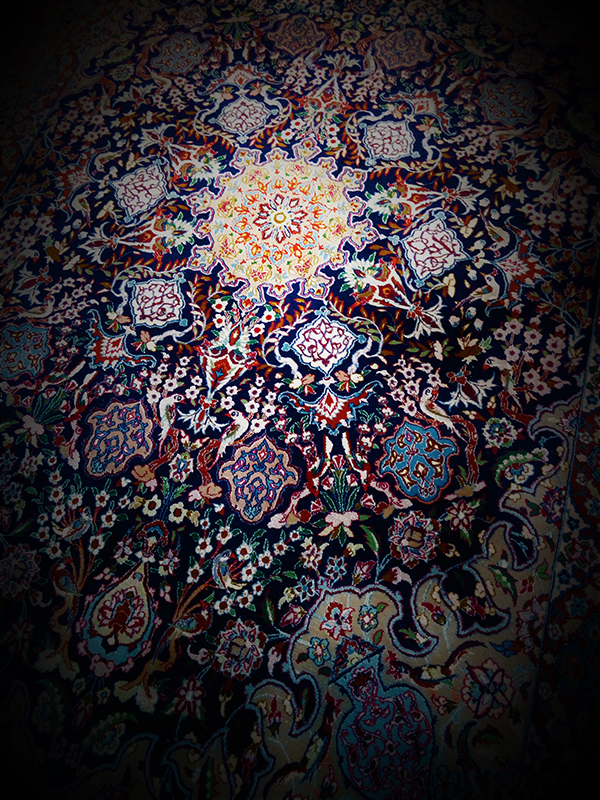 Tabriz is an ancient city in north-western Persia, and the most prolific of all carpet centres. 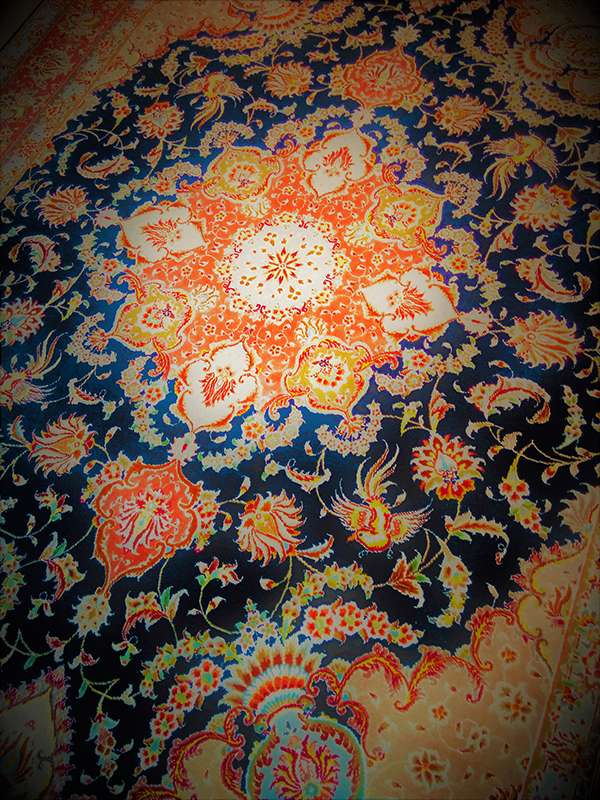 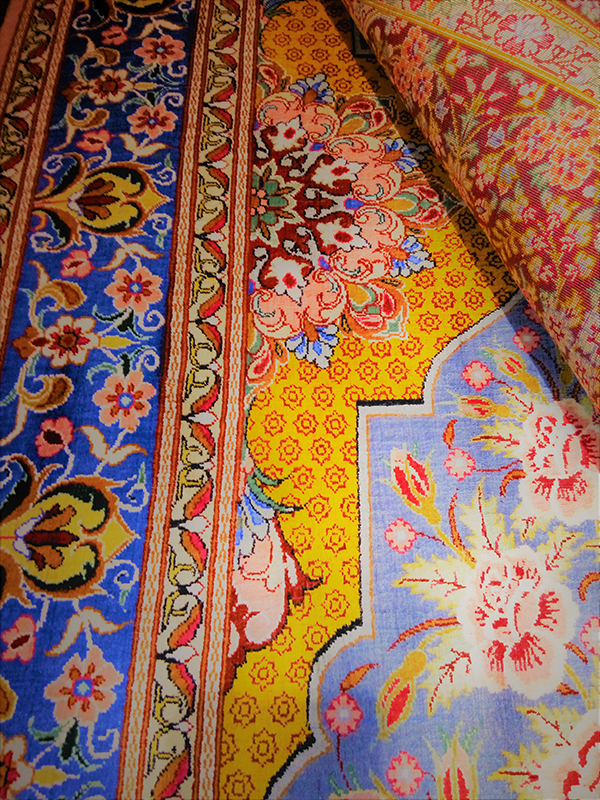 The quality in their carpets is generally exceptional, with most on a base of fine cotton, but sometimes on pure silk. 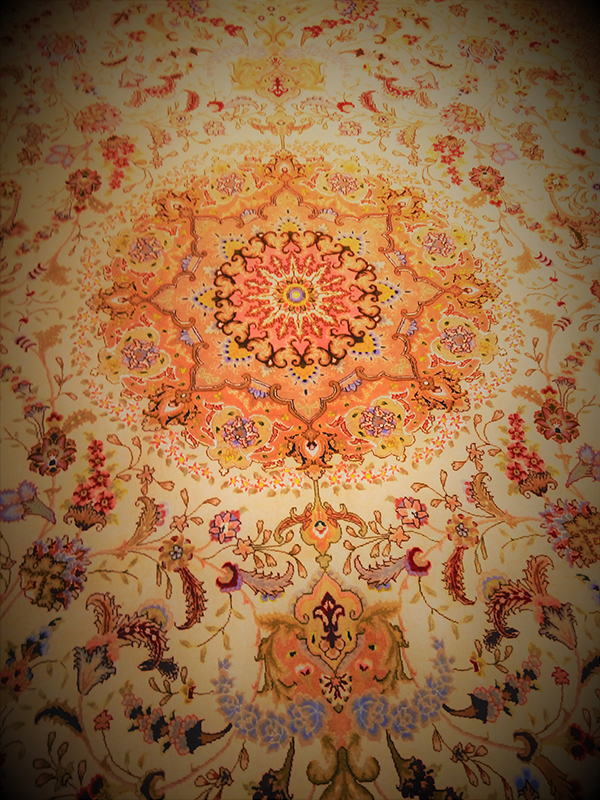 There are many unique designs but typically the pattern in a Tabriz rug is filled with dense floral motifs, large palmettes, vases, or vivid hunting scenes or pictorials in the field. 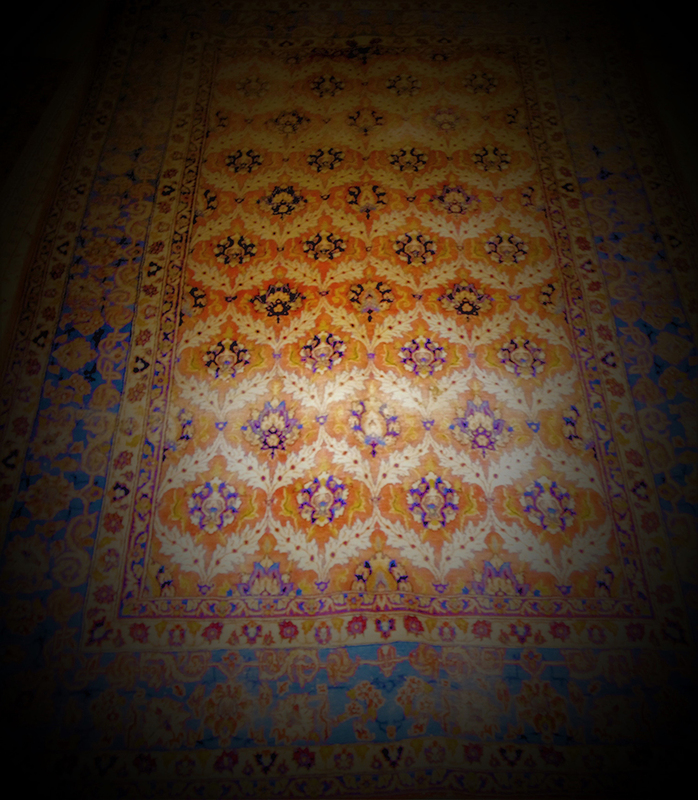 These can be with or without a medallion, and geometric designs are also seen. 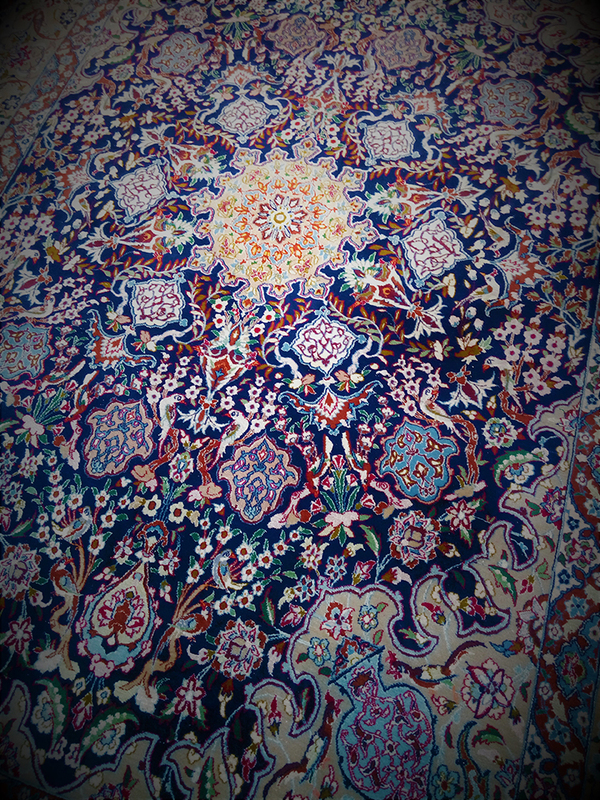 Tabriz has sub-styles as well. 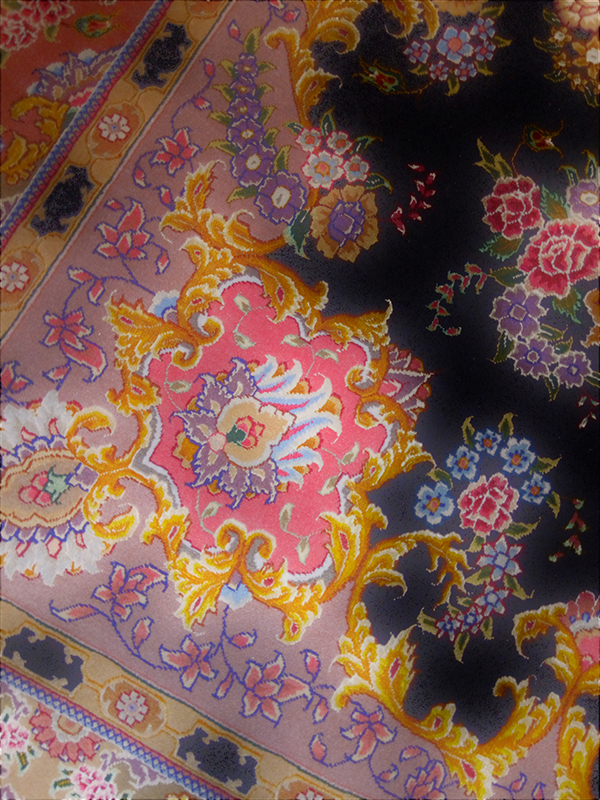 These include the restrained and elegant ‘Mahi’ in co-ordinated borders of subdued tones that fit in anywhere; the Naqsheh, with its plethora of pinks on beige, or very occasionally, black; and the wild but beautiful Tabatabaie, always in touches of orange, lemon green and beige. The finer Naqsheh and Mahi are mostly in highly-priced Kurk wool, and silk is often used to outline lavishly the highlights of the rug. 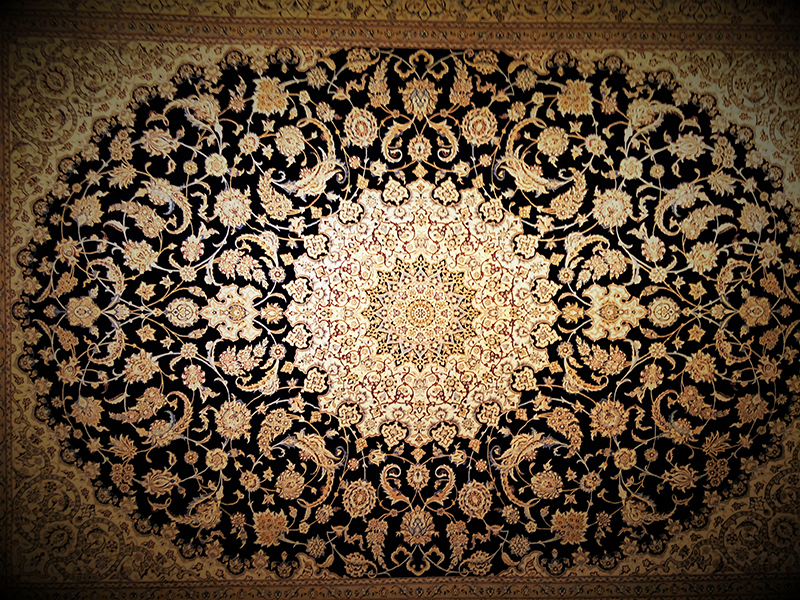 Isfahan Among the finest handmade carpets ever made, Isfahan rugs are the pinnacle of the Persian carpet. 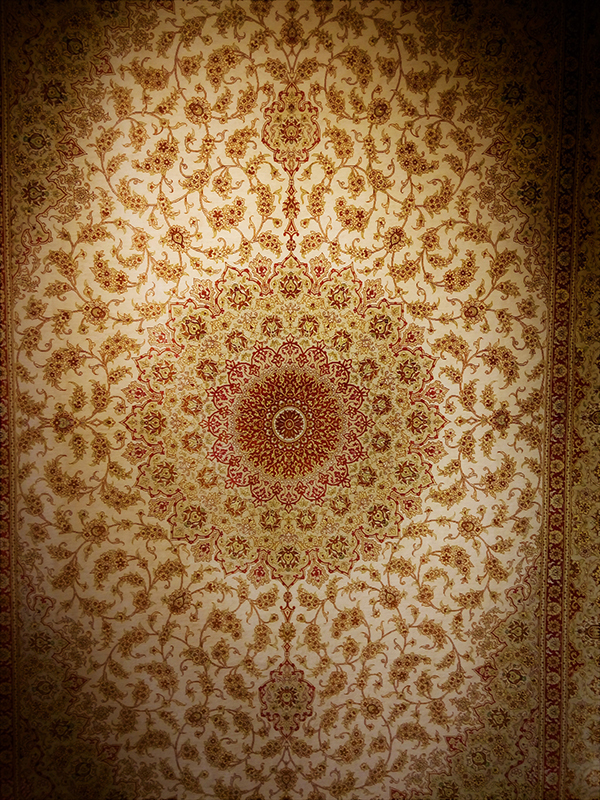 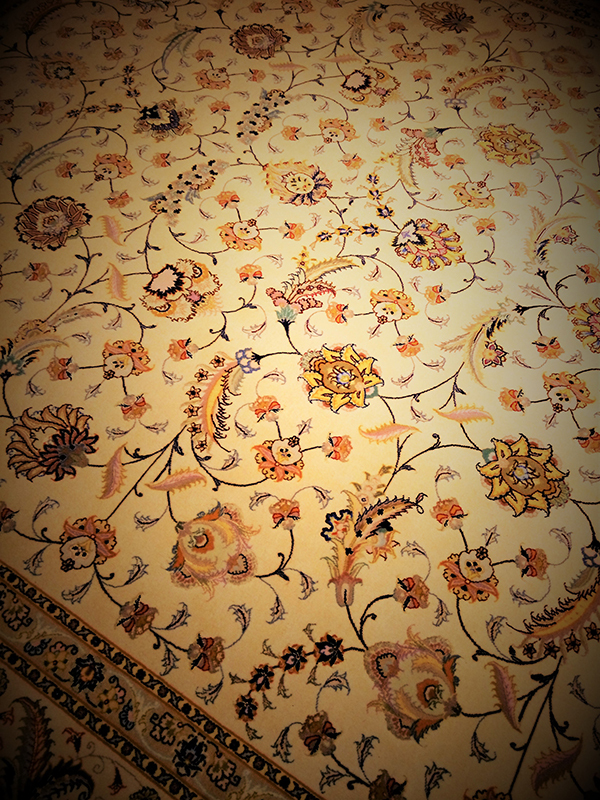 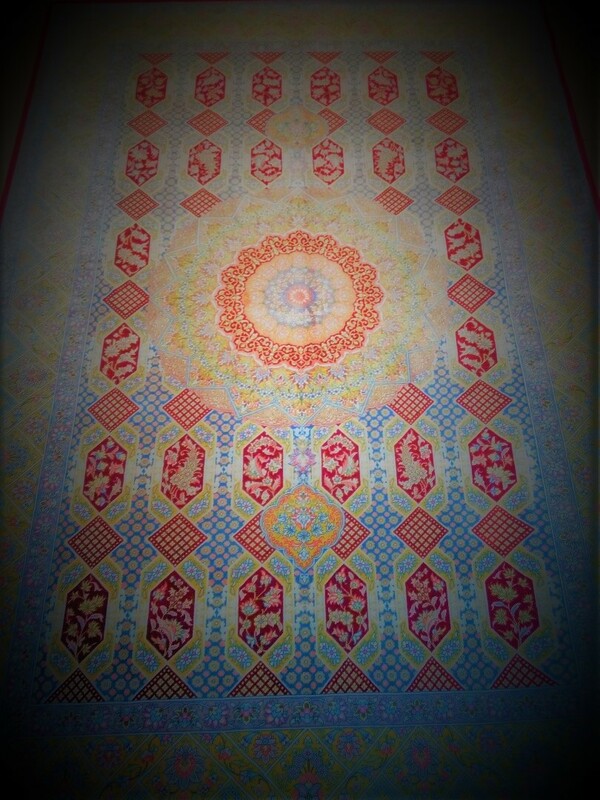 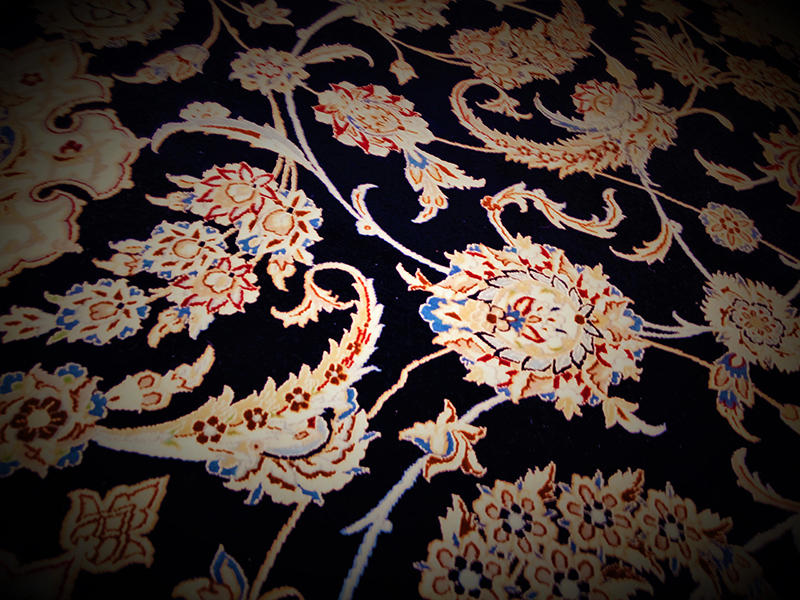 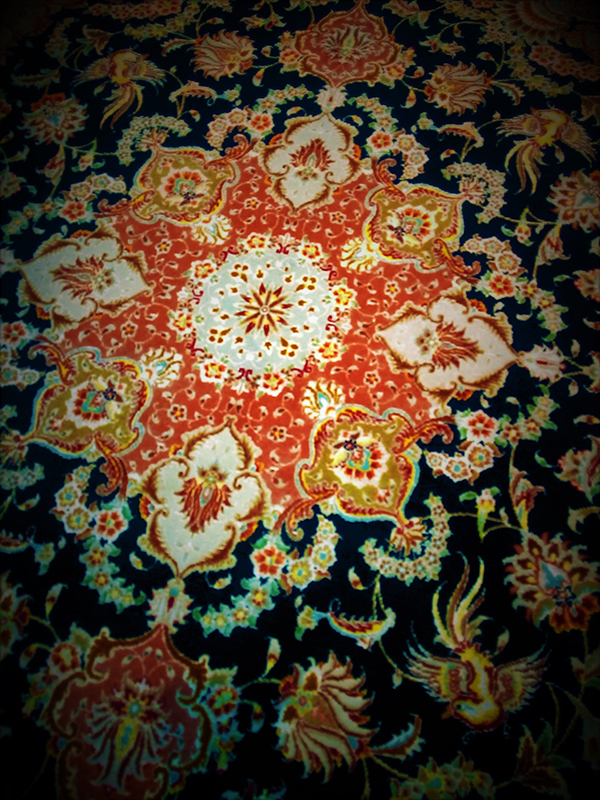 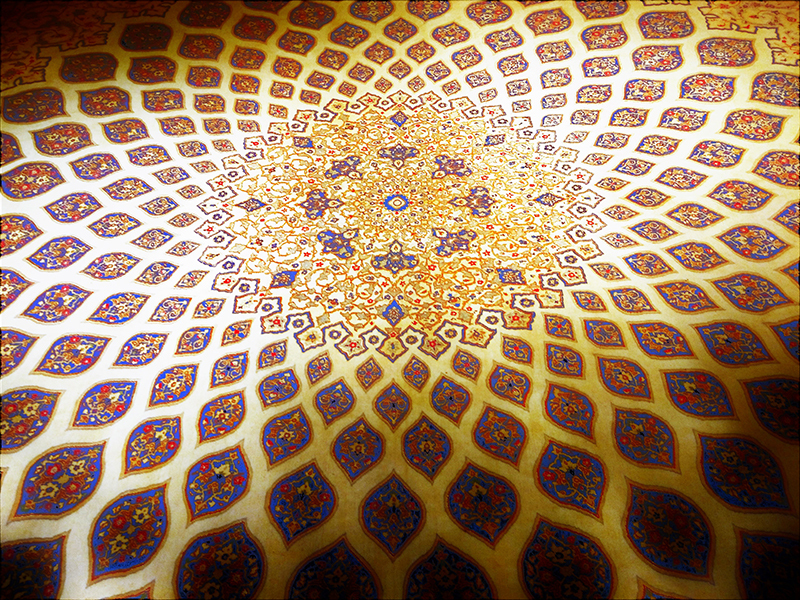 In an enchaned city, renowned for its taste and finesse, these carpets are of great delicacy and utmost intricacy. 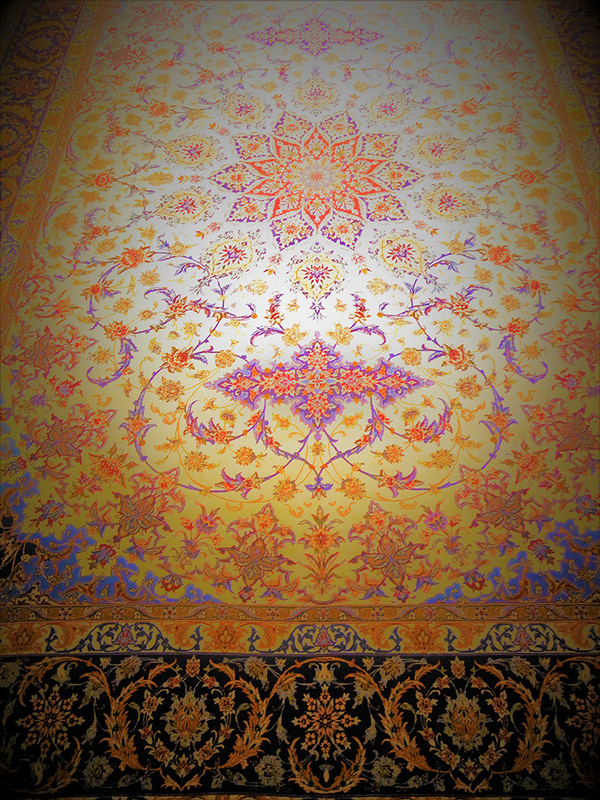 The city of Isfahan holds pride of place in the Persian rug industry because of its rich history and reputation dating back to the 16th century. 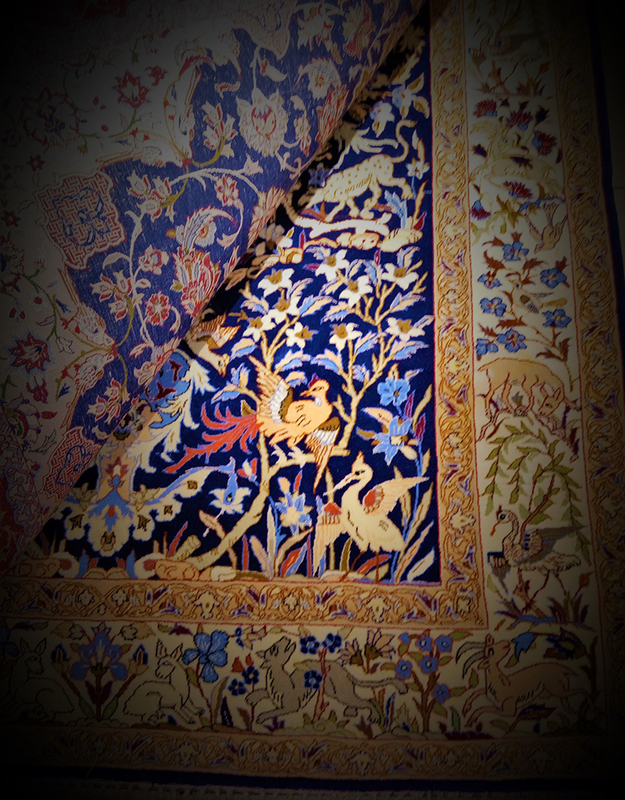 Most Isfahan carpets are finely detailed in wool and silk, often on a base of pure silk. 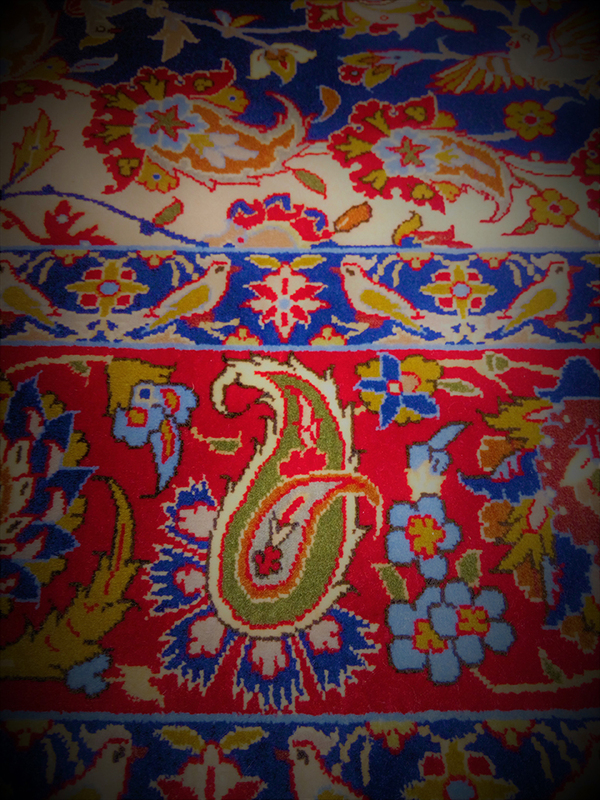 Until the middle of the 20th century colors were mostly stronger, like bold reds and blues on the ubiquitousbeige. 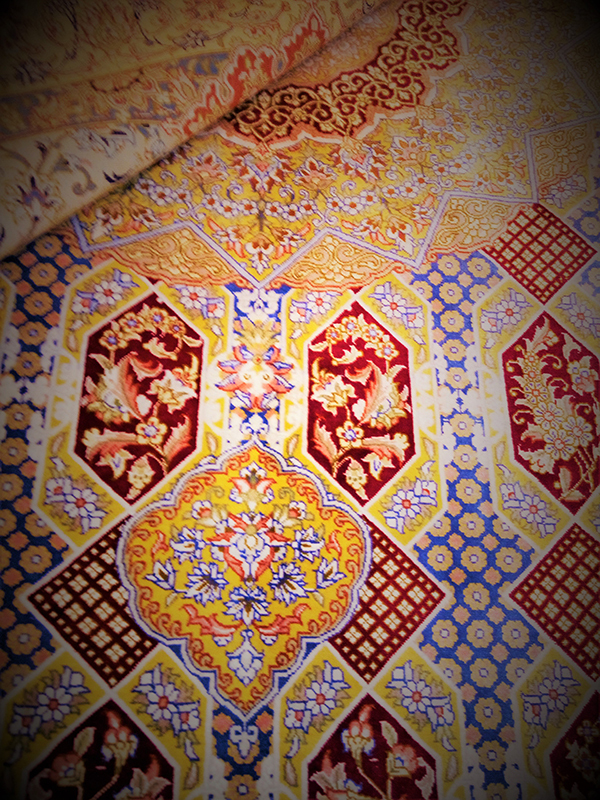 But later comes the visible influence of the international Designer, with more subdued ranges of subtler colors. 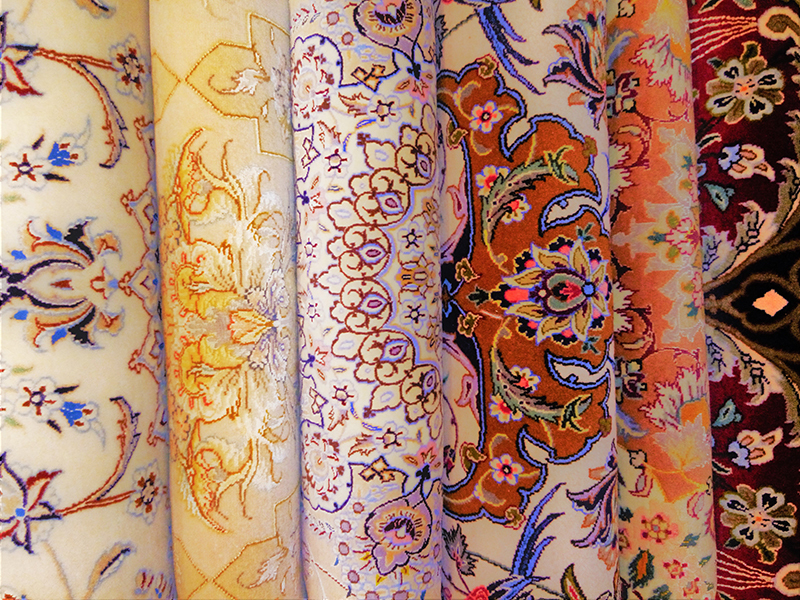 Still, at the sight of curvilinear vines snaking over an elegant field around an exquisite medallion, especially if the long fringes glisten silkily from magnificent borders, the word ‘Isfahan’ tends to spring to one’s lips. 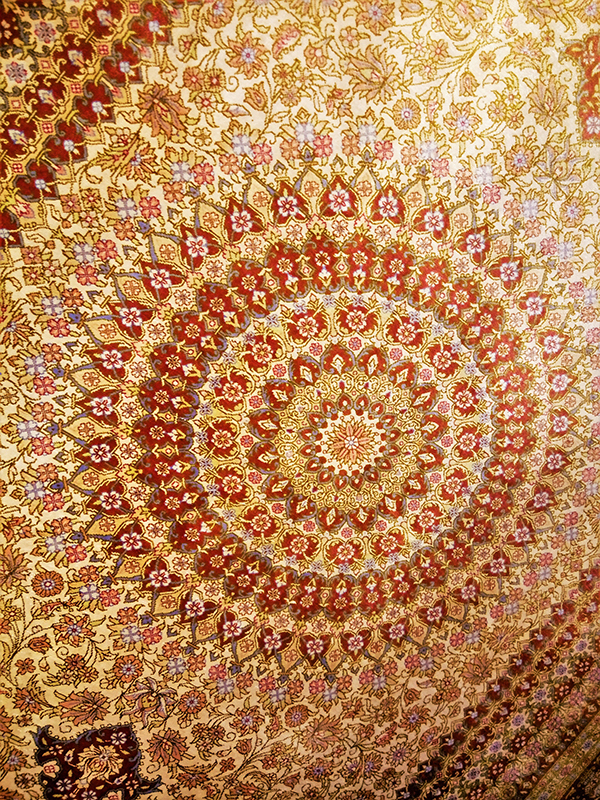 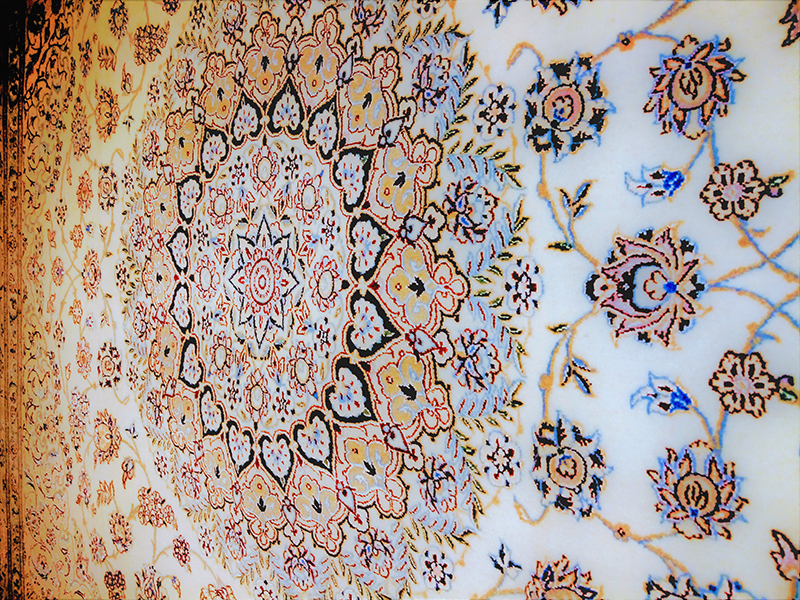 Patterns include pictorial and tree-of-life schemes, as well as t he Shah Abbas field with its floral vines. 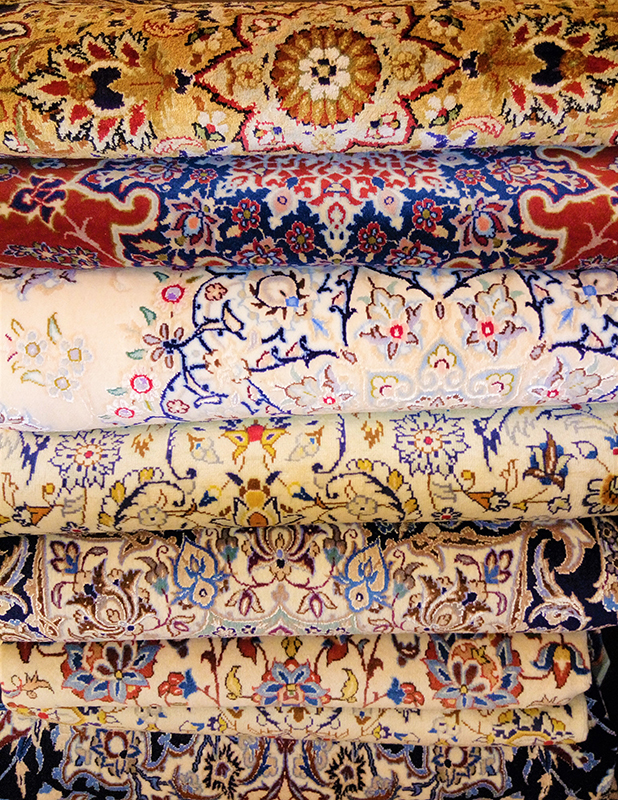 Nain is sometimes used in Persia as a synonym for ‘fine’. 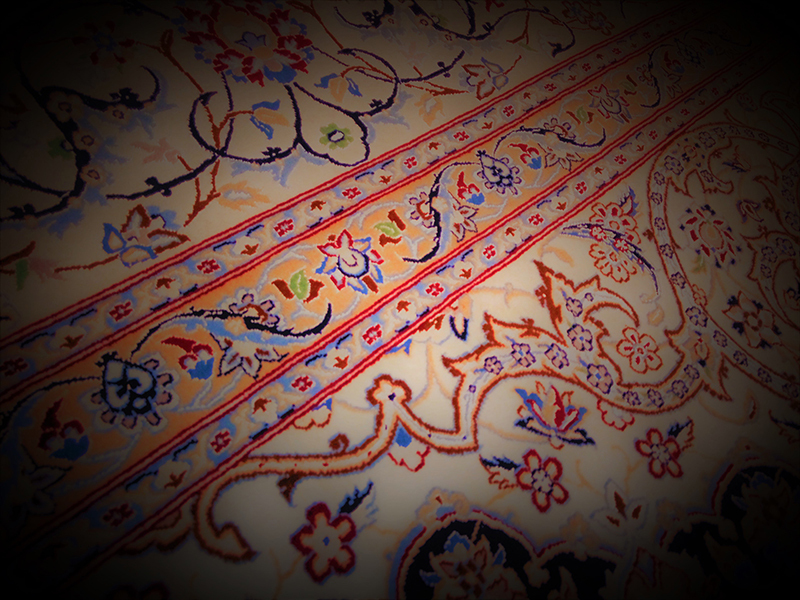 These elegant carpets are produced in and around the city of Nain, some 60 miles east of the enchanted city of Isfahan. 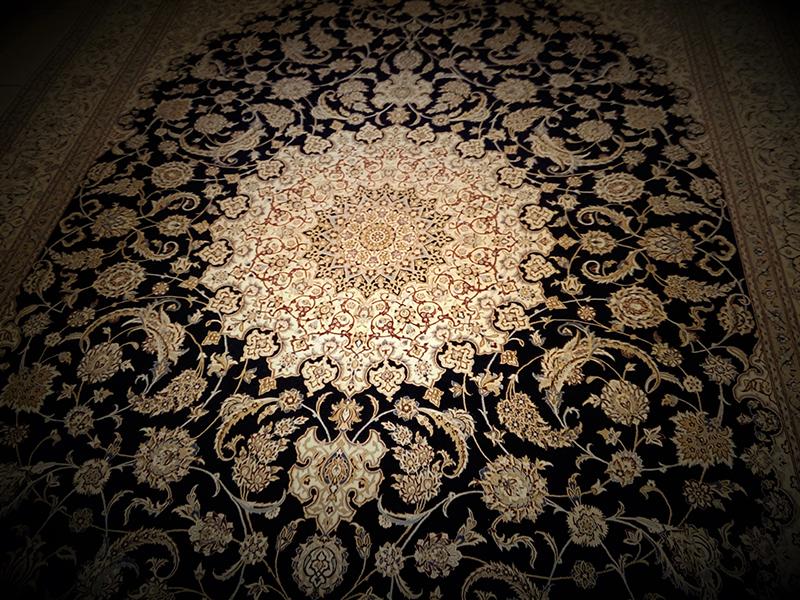 A favorite of many collectors, Nains are precise, delicate and can be stunningly beautiful. 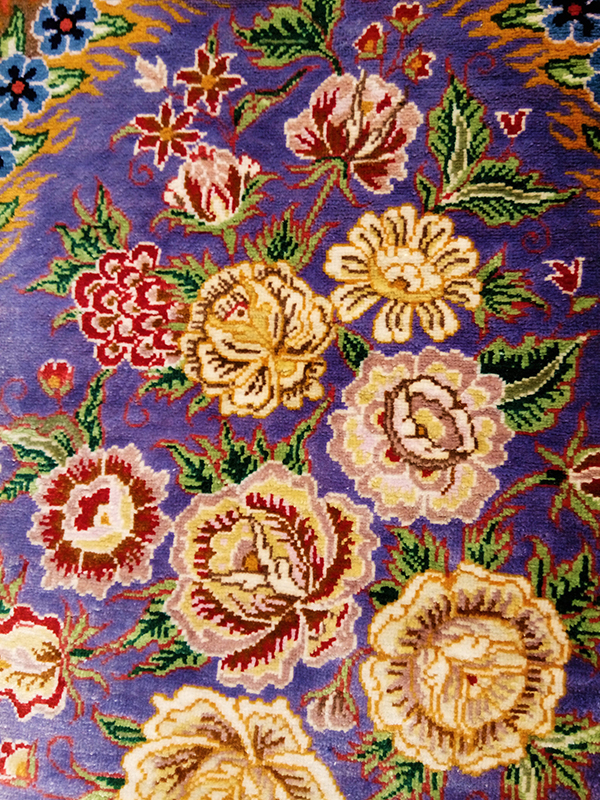 They are woven on cotton, or on silk of varying degrees of quality, and are mostly beige and blue, with stunning silken highlights. 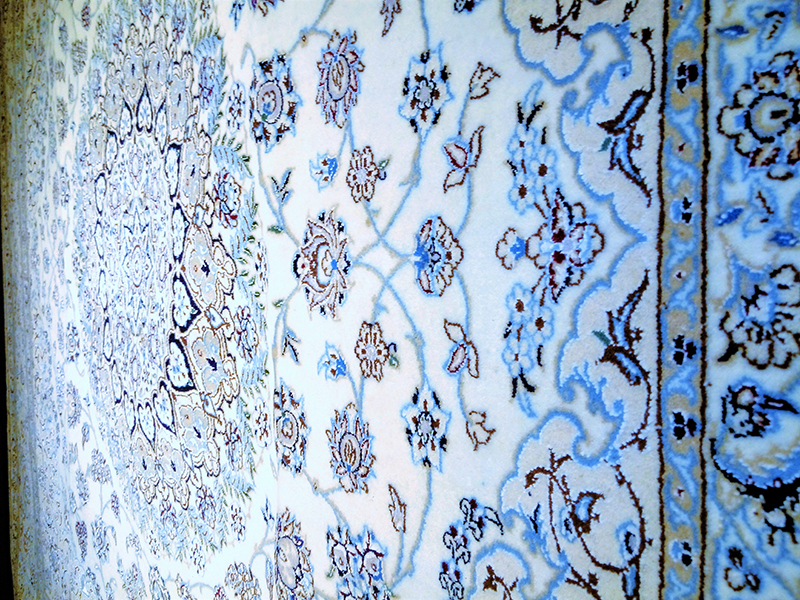 The blues can vary from the deepest midnight to the palest sky, with royals and spectacular turquoises along the way. 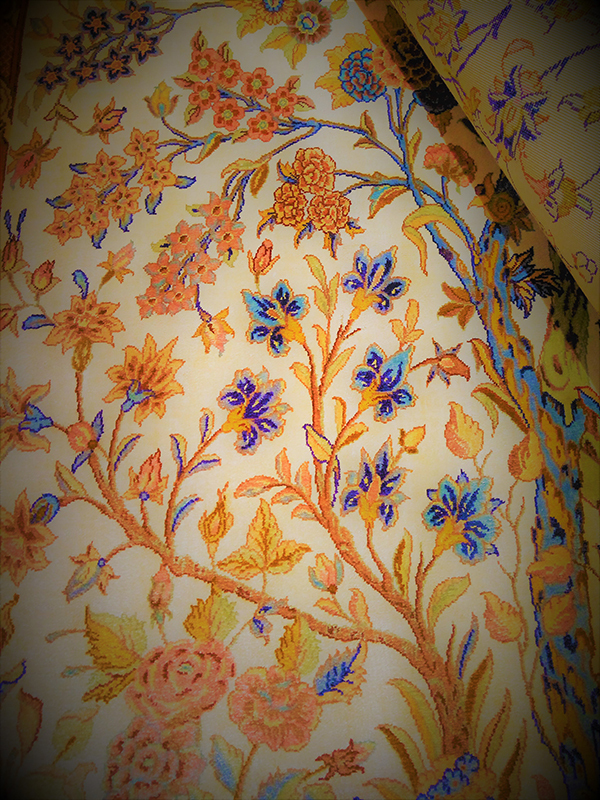 Typical details include the curvilinear vines with forked leaves, Shah Abbas flowers, birds and animals, and regal borders. 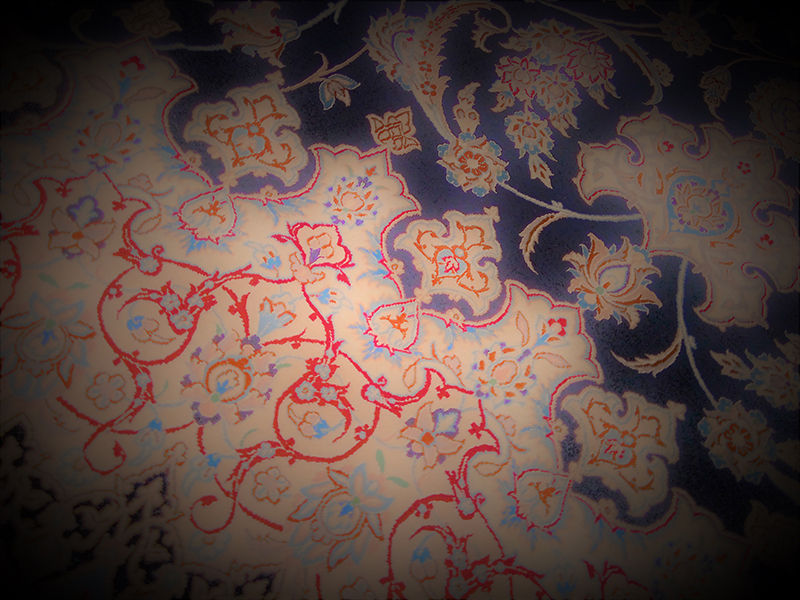 Many are signed, and for a genuine Habibian signature it is permitted to sell the farm. 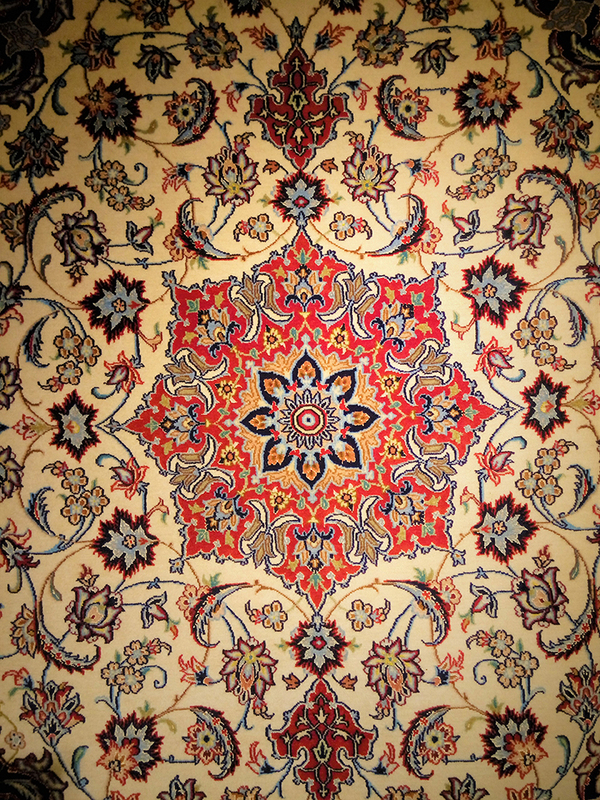 Although Nain is not a very old rug-weaving city, it is well established and among the most valued carpet-producing centers in Persia. 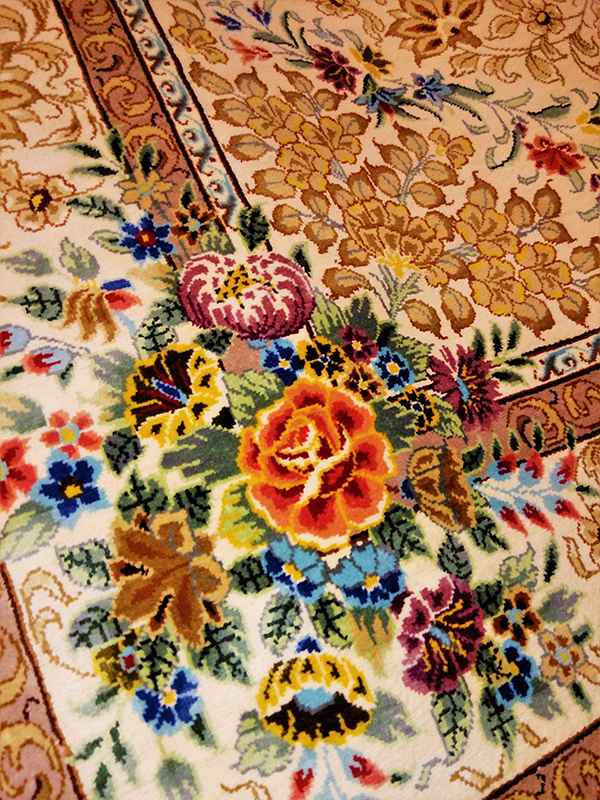 © Copyright 2018 – 2010 All rights reserved. 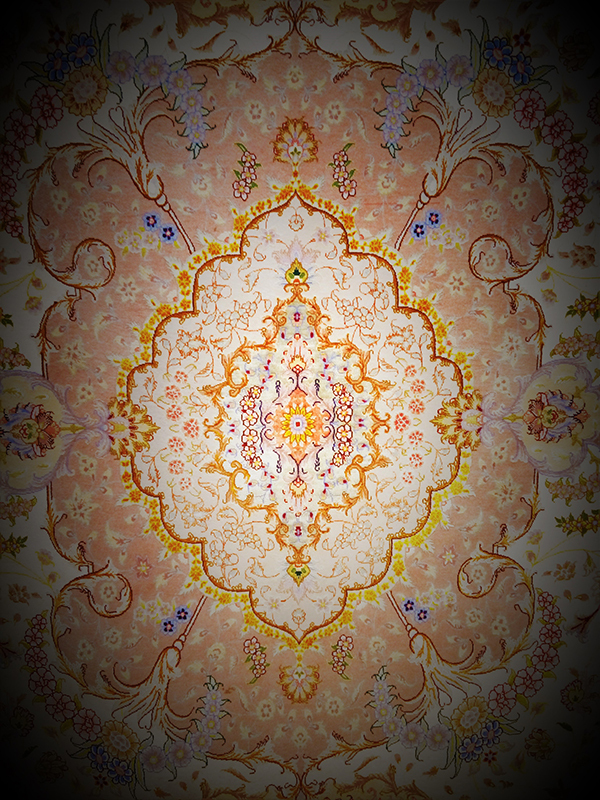 www.PAYSAGESDORIENT.com V3.6.2 © Copyright 2018 - 2010 All rights reserved.